at Huntsville Hamfest with CQ Editor Rich Moseson, W2VU. and Gordon West, WB6NOA, representing Heil Sound. Eighteen-year-old Skyler Fennell, KD0WHB, of Littleton, Colorado, is this year's recipient of the Bill Pasternak Memorial Newsline Young Ham of the Year Award. He was presented with the award and various gifts from corporate sponsors at the Huntsville Hamfest in mid-August. A freshman at New Mexico Tech, Skyler has been building electronic projects since he was in third grade. He started a ham radio club at his high school and is trustee of its station, and is active in satellites and amateur radio on high altitude balloons. At the Huntsville ceremony, Skyler was carrying with him a portable, internet-linked, 902-MHz repeater built around two Motorola handhelds. He received radio equipment from Yaesu, RadioWavz, and Heil Sound, as well as a week at Space Camp from CQ magazine. to hit the US since Superstorm Sandy in 2012. Amateur radio operators responded to provide emergency and backup communications in the aftermath of massive flooding in Louisiana and a magnitude 6.2 earthquake in Italy. 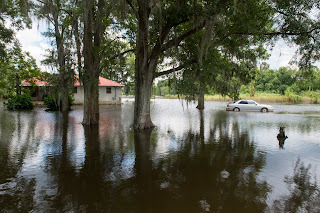 According to the ARRL Letter, hams from Louisiana, Alabama, Mississippi and Arkansas provided communications for Red Cross shelters throughout the flood area for six days. In Italy, amateurs were providing unspecified communication chores in accordance with "their planned response with their government," according to the International Amateur Radio Union. The earthquake claimed hundreds of lives and was responsible for significant damage centered on the tourist town of Amatrice. It seems there's gold in electrolytic capacitors ... enough to prompt some people and companies to break the law. 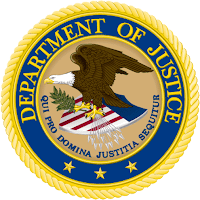 "Newsline" reports that three companies have pleaded guilty to price-fixing in an ongoing international investigation by the U.S. Justice Department. Two other companies had previously pled guilty in the massive price-fixing scheme. The companies will face fines and have all agreed to cooperate with investigators as the probe continues. It's Over Your Head … HAARP and "Plasma Bombs"